Walking on Main Beach, North Stradbroke Island. Family walking on Main Beach, Straddie, in the evening. I have always loved walking on Main Beach at North Stradbroke Island. This picture shows my family taking a late afternoon stroll on Main Beach accompanied by our collie dogs Louie and Charlie. The sky and sea are painted in cool colours to contrast with the warm earth tones of the sand and dunes. 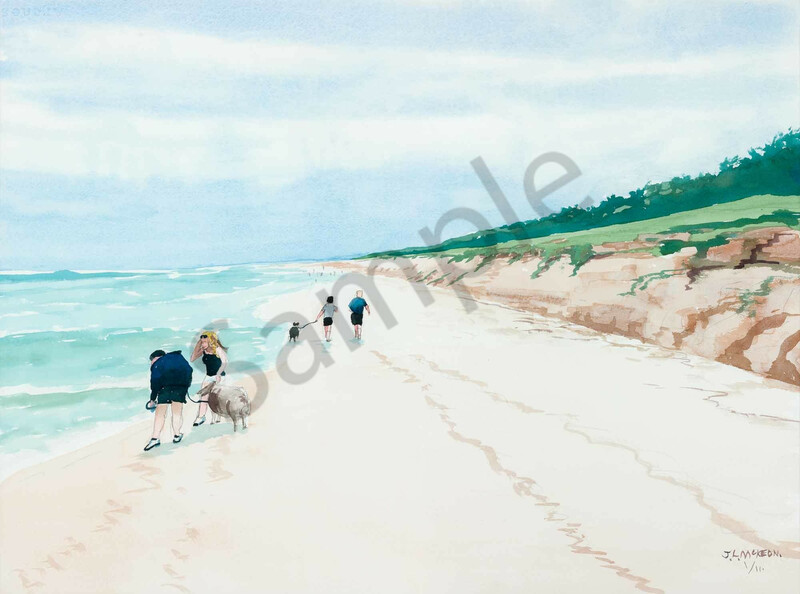 This work brings back so many wonderful memories of family holidays on Straddie.